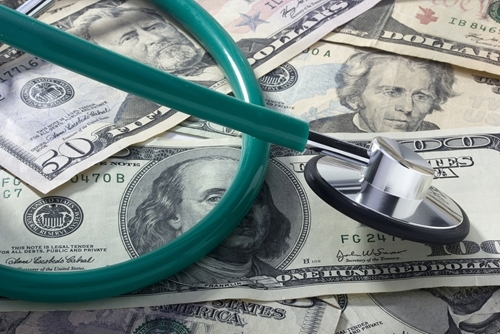 The Kaiser Family Foundation says that one in three Americans struggle with medical debt. The issue affects both insured and uninsured Americans, and medical bills can quickly overwhelm even those with high incomes. Medical debt is not only stressful and embarrassing for patients, it can greatly affect a hospital or practice's ability to provide high-quality medical care. To avoid the sticker shock of treatment, the Kaiser Health Foundation has published a list of tips to help avoid or alleviate the rising cost of medical care. They first suggest talking to your doctor or an accounts receivable specialist at the facility to determine the cost of the visit and how much your insurance will be able to cover. They stress not being afraid to share if you aren't able to afford the treatment, as hospitals are often able to work out a payment plan to help manage the cost. When negotiating a price with the facility, Kaiser advises to ask if they will accept the price that Medicare pays for the treatment. This is often much more affordable than the price they offer the public, and both insured and uninsured patients can sometimes qualify for help with the cost of their care. Finally and perhaps most crucially, Kaiser tells patients to review their bills carefully. Healthcare claims processing can be a complicated process involving many parties, so it is not impossible for mistakes to occur. An explanation of benefits, or EOB, should be sent to you by your insurance provider. This document is regularly the most accurate summation of charges. If your hospital is struggling with health insurance collections, there are many options to help alleviate bad debt and increase cash flow. The decision to outsource receivable management to Professional Medical Services can increase collections of debts while your own professionals focus on large accounts, resulting in a more manageable claim load per collector.